opticalCON MTP® breakout box: 1 x NO12FDW-A to 3 x NO4FDW-A The breakout boxes are used to split a 12-channel point-to-point opticalCON MTP® connection. 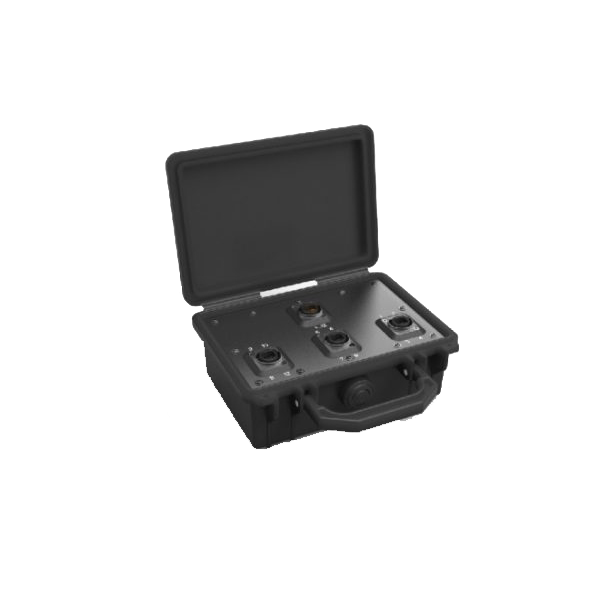 In mated condition the boxes are dust and water resistant according protection class IP 65. The closed boxes are protected according to IP67. opticalCON QUAD breakout box: 1 x NO12FDW-A to 6 x NO2-4FDW-A The breakout boxes are used to split a 12-channel point-to-point opticalCON MTP® connection. 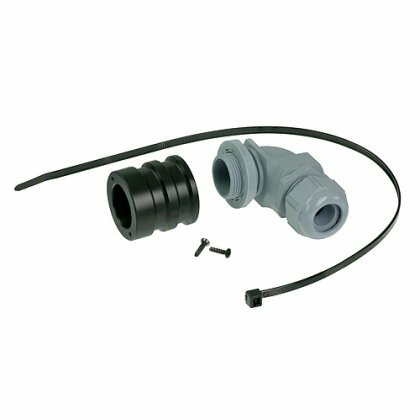 In mated condition the boxes are dust and water resistant according protection class IP 65. The closed boxes are protected according to IP67. opticalCON QUAD breakout box: 1 x NO4FDW-A to 2 x NO2-4FDW-A The breakout boxes are used to split a 4-channel point-to-point opticalCON QUAD connection. 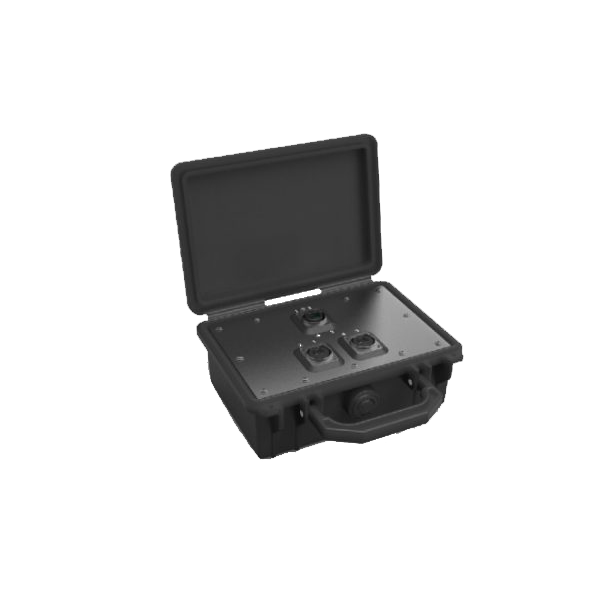 In mated condition the boxes are dust and water resistant according protection class IP 65. The closed boxes are protected according to IP67. 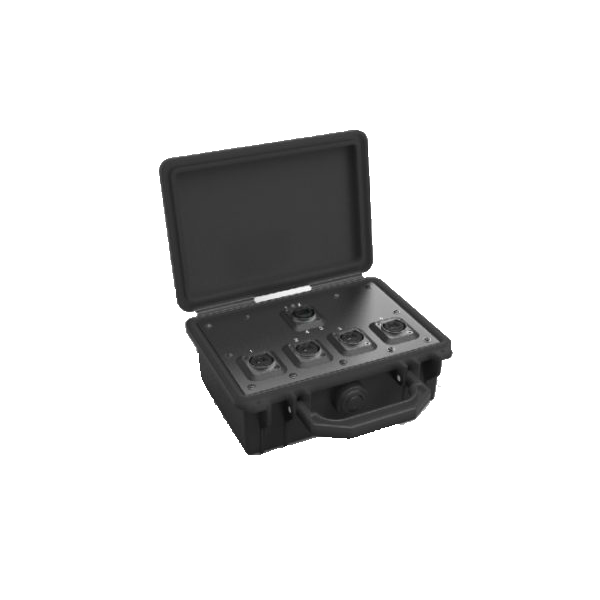 opticalCON 4 breakout box: 1 x NO4FDW-A to 4 x NO2-4FDW-A (channel A connected) The breakout boxes are used to split a 4-channel point-to-point opticalCON QUAD connection. In mated condition the boxes are dust and water resistant acc. protection class IP 65. The closed boxes are protected according to IP67.